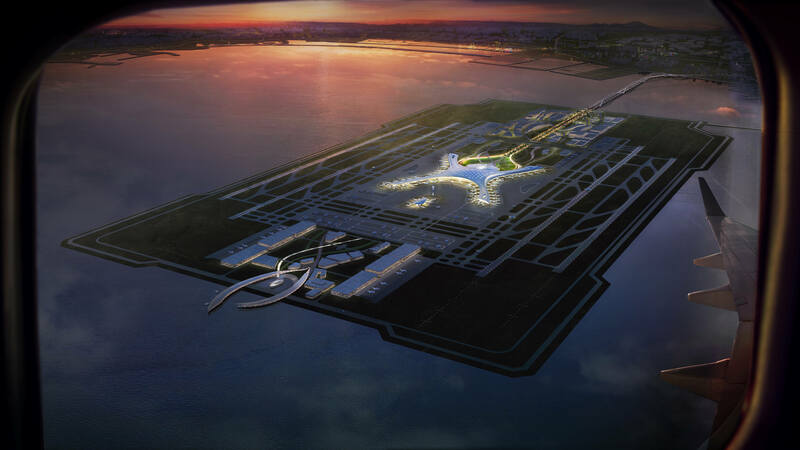 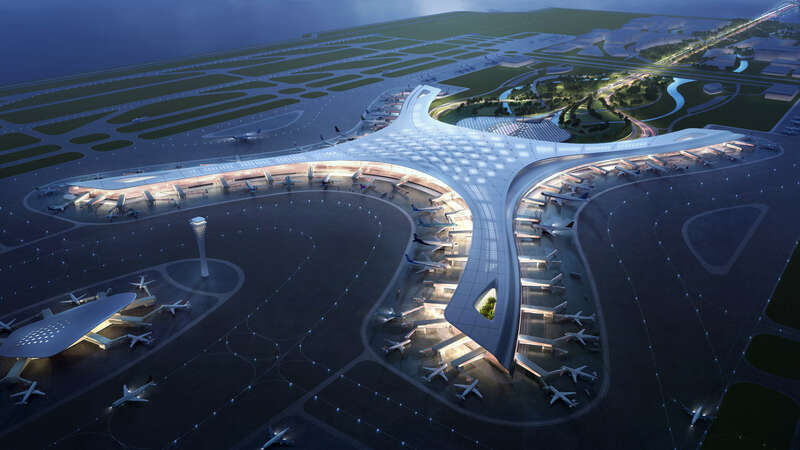 An international competition launched in July 2014 to design a new airport in Dalian, China, on the site of a new artificial island that has been under construction for two years. 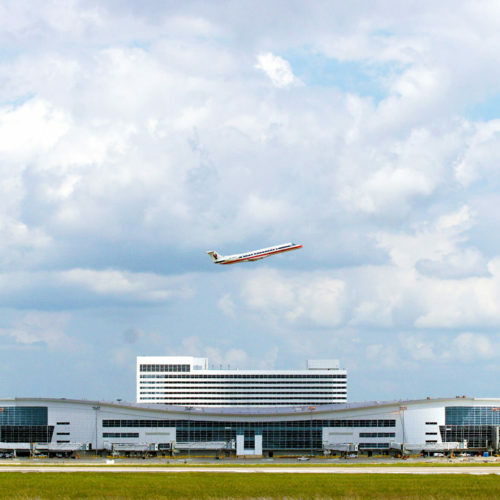 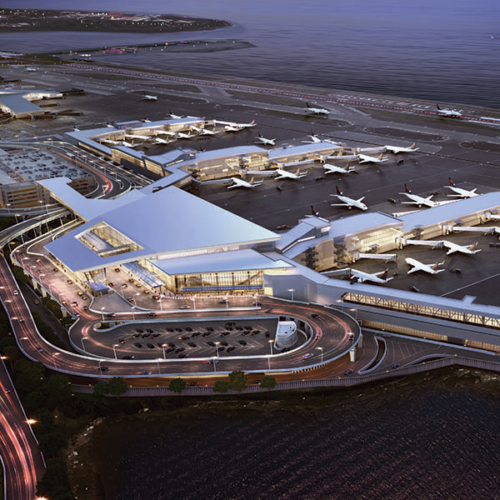 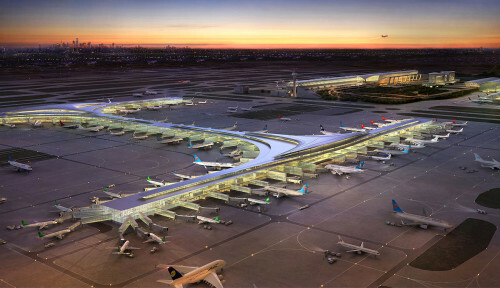 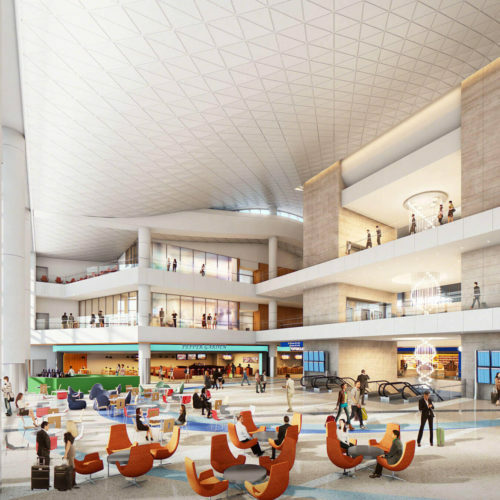 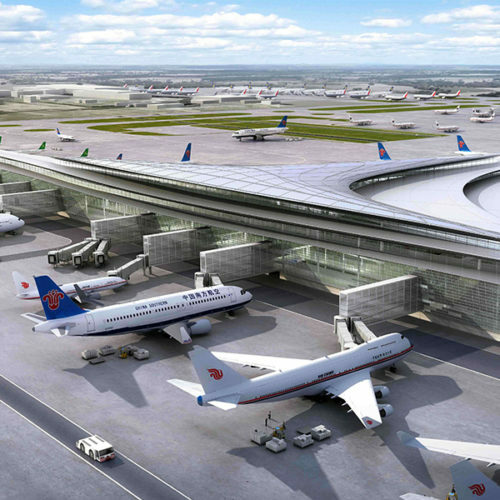 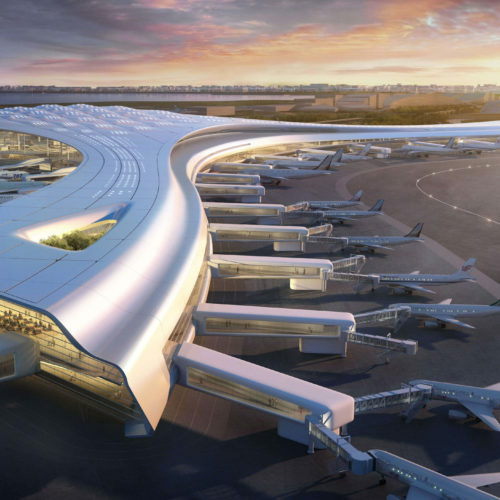 The competition brief called for a 101-gate terminal, a ground transportation center, airfield planning and master planning of an “air-city” development on the island. 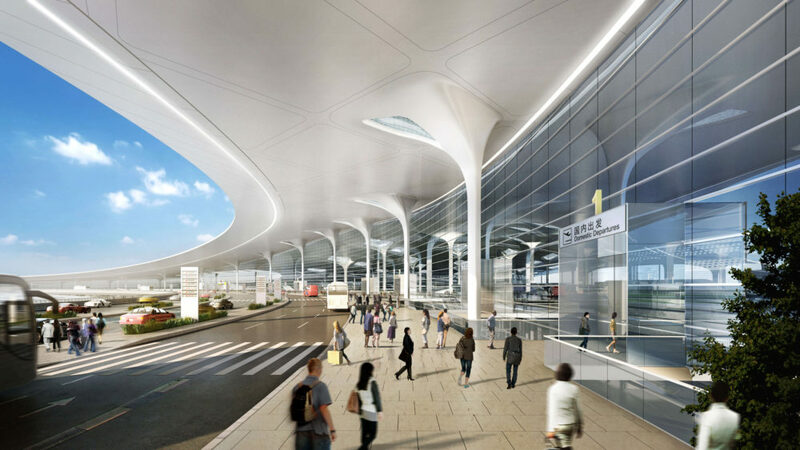 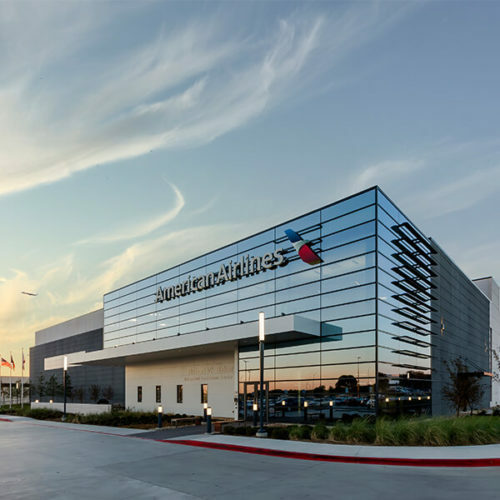 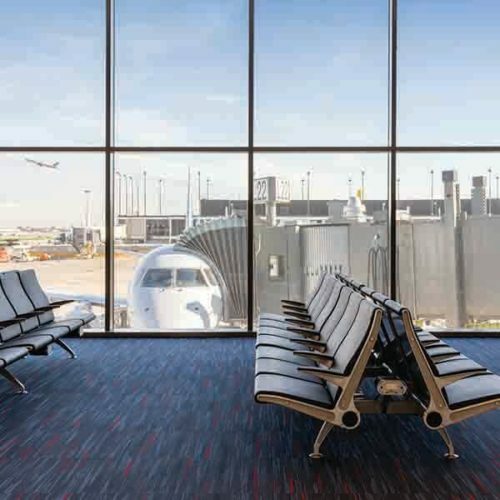 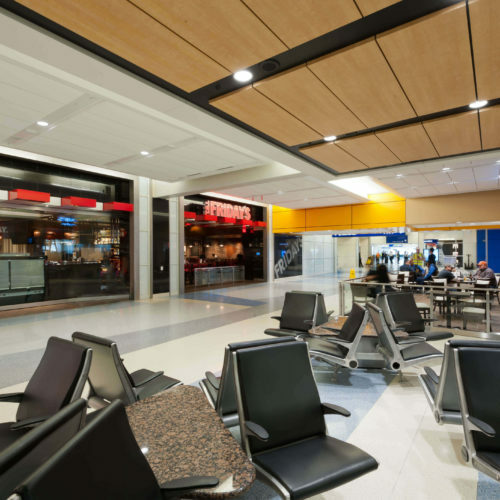 In an intensive four month collaborative process, working in both Dallas and Shanghai, Corgan developed and submitted design solutions which focused on achieving top passenger experience ratings through easy way finding, intuitive flow-based design, and top-quality concessions. 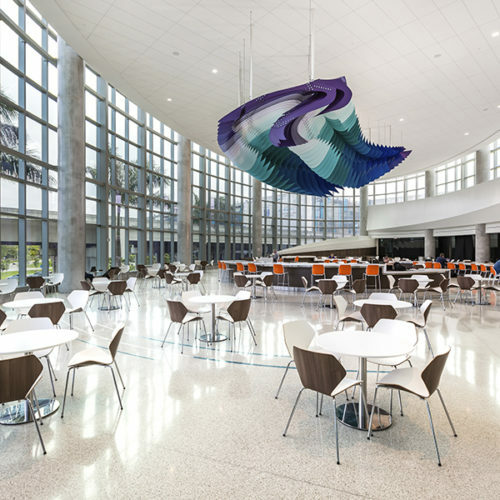 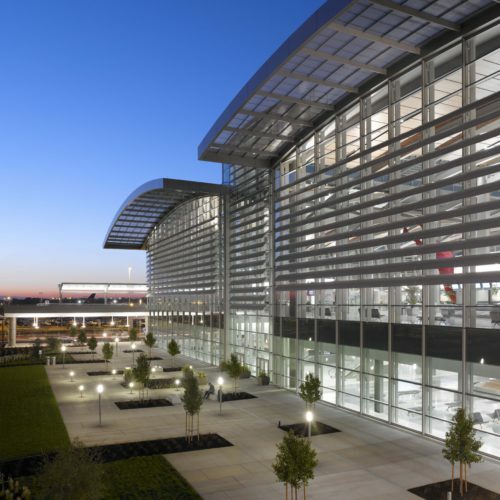 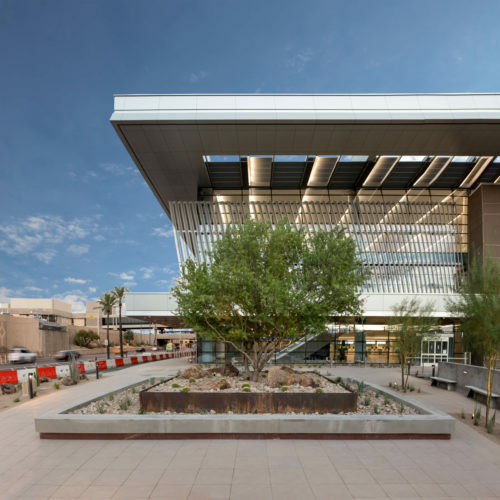 Corgan’s design has built-in flexibility for the adaptable phasing of future building expansion and the ability to respond to market changes. 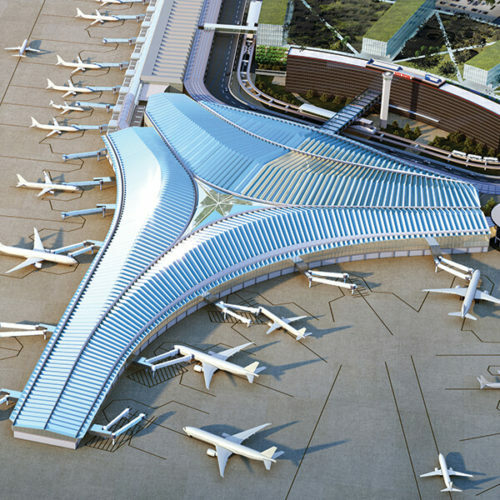 The design incorporates the latest green design technology to reduce energy and resource consumption and provide interesting educational features for passengers and offers a balance of cost through efficient design elements including unit construction, incremental expansion options and an integrated ground transportation center at ground level. 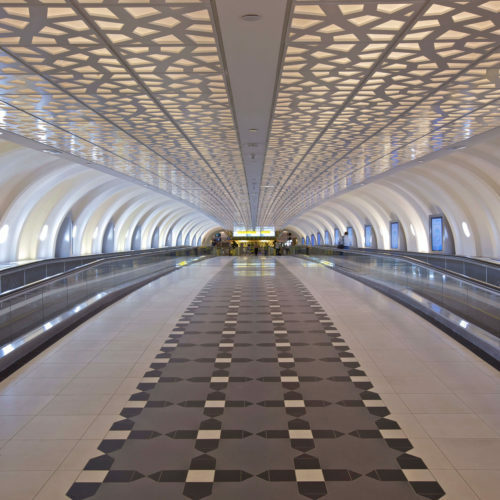 With this project, the City of Dalian can become an icon of the city with its expressive and romantic design and plentiful interior plazas and landscaping. 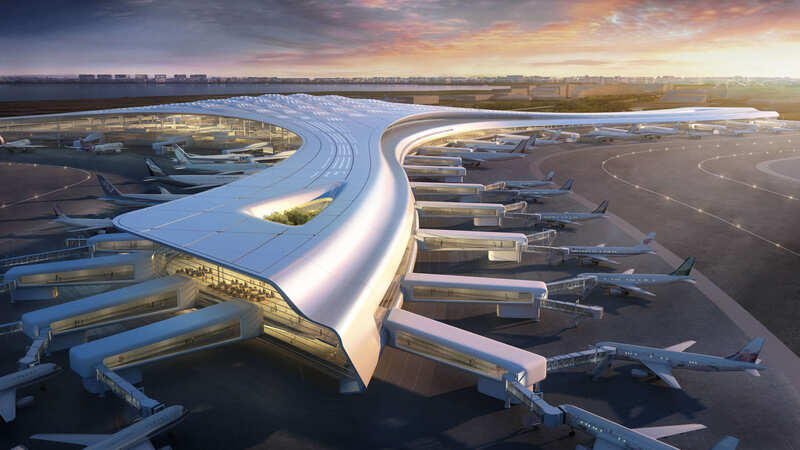 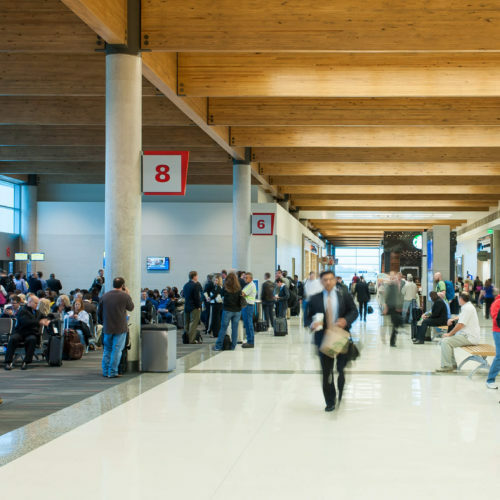 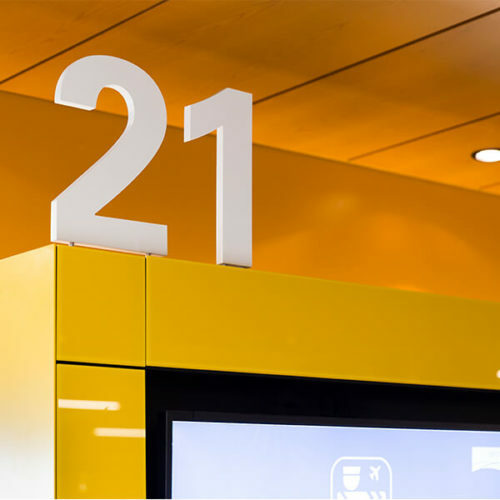 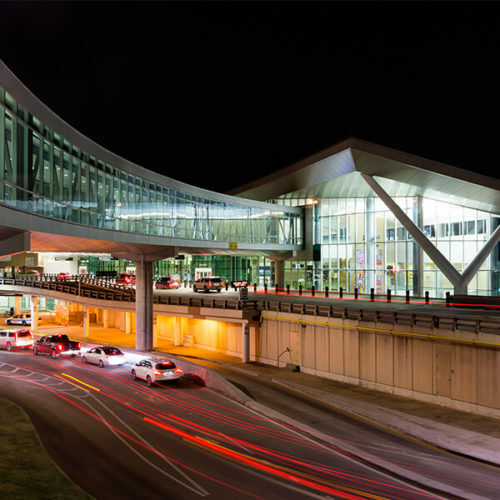 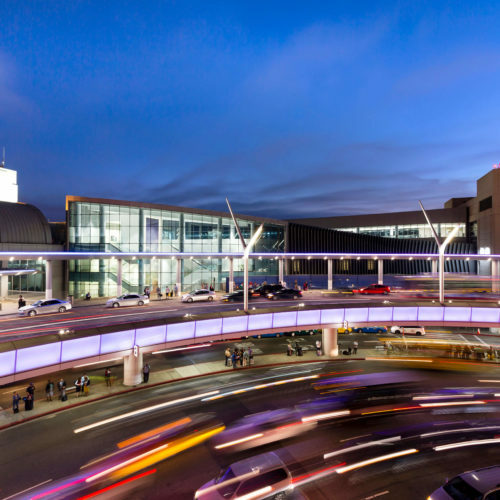 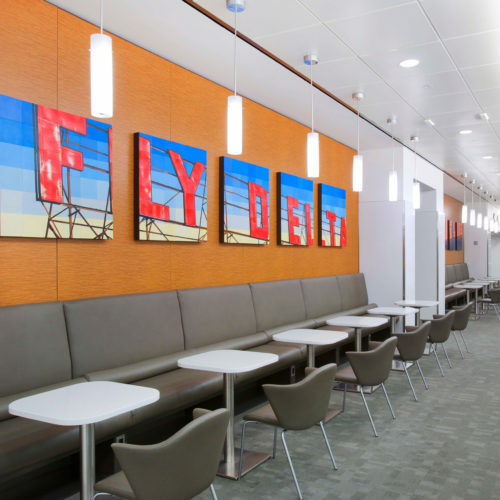 The overall goal is to elevate customer experience by providing a modern terminal with additional gates for both domestic and international travel.